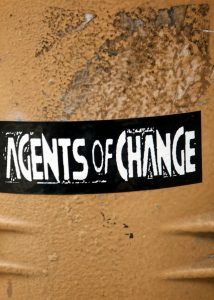 TASK AT HAND: This week, after reading the recent Fortune 500 review, I’m thinking about change. The Fortune 500 survey found that 97% of CEOs say their companies will change more in the next five years than in the past 5 years (Fortune.com, 15 June 2016). Fortune 500 CEOs, which lead benchmark business successes representing revenues equal to two-thirds of US gross domestic product, in majority “strongly agree” with this statement of emphasis on change. The ability to change, at an organizational level, means adapting to growing market demands and is essential for survival. As a biological species, our ability to evolve granted us survival via constant differentiation. What happens now? At a personal level, the ability to change is paramount to fulfillment. I agree that, “To improve is to change; to be perfect is to change often” (Winston Churchill). This quote implores our need to constantly seek improvement. 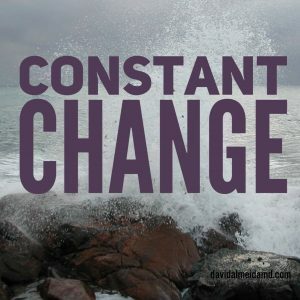 To seek constant change. How do we seek change? First, realize “different” is not “change”. Different may be an avenue for change and may offer one the potential to change, but in of itself, does not permeate change. A clear example is traveling. One may travel to exotic places, see novel vistas and villagers, yet return to a baseline state soon thereafter. Actual change requires a loss of original identity. Simply recognizing that we are not permanent – that all our hang-ups and hiccups – are not perpetual opens us to the possibility of letting go of these old happenstances that prevent positive personal change. I have yet to meet the wisest man or woman, and myself feel a fool compared to the sages and stoics I am lucky enough to collide with. Approach change constantly. Let go of preset conditions. Change. Grow. Fulfill. PS If you liked this Task At Hand, check out my post from last week on Anticipation vs Expectation; disregard expectations and find the purity of the challenge. You can find it here. 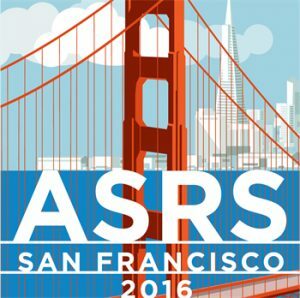 MEDICINE & MACULA: This week I’m attending the American Society of Retina Specialists (ASRS) Annual Meeting in San Francisco, California. I wanted to thank everyone who reached out in interest of the work we presented. Also, a kind thanks to all my collaborators!